Prevent Injury in Boston during the 116th Edition of the Boston Marathon! Today is the 116th edition of the Boston Marathon!!! Runners are heading to Coplet Square, more than 26 miles from the starting point at Hopkinton. If you’ve been outside you already know it’s a hot one out there and both runners and spectators are urged to be cautious in the heat and to stay hydrated. Boston temps should reach into the mid-80s according to The Wall Street Journal. That’s about 30 degrees warmer than normal. It may not be the hottest Marathon we’ve witnessed, as the temps for the 1909 Marathon reached the mid 90s, but it’s still a hot one. According to the Massachusetts Bay Transportation Authority (MBTA), more than a million spectators are expected to be out at this year’s marathon rooting on their favorite runners, enjoying the Boston family and grabbing a drink or two from local pubs. During this time, spectators may not have to worry about pulling a muscle or winning the race, but they have to worry about a number of other injuries in Boston during this citywide event. 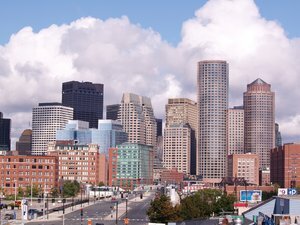 Our Boston personal injury attorneys understand that the streets are going to be crowded. We’re asking residents and visitors to make travel arrangements before heading out. Some of your best options involve taking a trolley or the subway to some of the prime viewing locations along the route. To help to accommodate the increase in ridership, the MBTA is offering increased service and T officials will be on site to assist travelers. If you’re aiming to watch the runners cross the finish line, make sure you get off the Green Line at either the Hynes Convention or Arlington Street. The finish line is just a few blocks away. Residents are urged to take the T instead of getting behind the wheel of a motor vehicle. Not only will traffic be congested and risks for accidents on the increase, but many spectators will be grabbing a cold brew to cheer on the runners and to cool of from the Boston heat. Riding public transportation is a good way to avoid a costly and potentially fatal drunk driving car accident in Boston. Whatever you do, avoid driving if you’ve been drinking during this year’s celebration. Both drinkers and nondrinkers are advised to stay hydrated. Not all of us are used to this summer-like heat and may not be able to gauge the affects of the warmth. Everyone is urged to stay hydrated and to drink plenty of water. Even if you’re not thirsty, drink some water. -Drink plenty of nonalcoholic fluids. Don’t wait until you’re thirsty. -Avoid super cold fluids. They can give you stomach cramps. -Stay indoors if possible. Consider stopping to grab lunch inside a cool restaurant or visiting some of the local shops to cool off. -Be sure to wear lightweight, light-colored and loose-fitting clothing to help keep your body cool. -Keep a close eye on young kids, elderly residents and those who are mentally or physically ill.
-Keep an eye on your friends and family members. Lookout for signs of heat exhaustion and heat stroke. Boston Personal Injury Attorney Jeffrey S. Glassman can be reached at 877-617-5333.